Keynote Photonics offers a comprehensive line of DLP chipsets for 3D Measurement, maskless lithography, UV Exposure, 3D Printing and near infra-red (NIR) spectroscopy. Each DMD contains up to 8 million individually controlled micromirrors built on top of an associated CMOS memory cell, which modulates the amplitude, and direction of an incoming light-bundle and directs it through an lens system. A DMD is a digital imaging chip that reflects light to project and display patterns and images. The DLP portfolio offers devices with mirrors that deflect at +/-12° states as well as +/-17° states. The digital nature of the DMD mirror structure provides unparalleled stability of light control over thousands of hours of operation allowing the virtually unchanged performance as the first day of operation. 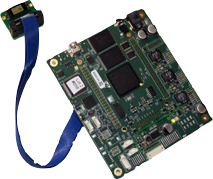 The Flexlight 4500 product family is a production-ready, full-featured implementation of the Texas Instruments LightCrafter4500 chipset, which includes the DLPC350 and 0.45″ WXGA DMD. Need to place the DMD far away from your electronics? Want to quickly support image downloads without having to flash new image data each time? Prefer direct Ethernet support? The LC4500 offers more than TI’s standard kit. Like the Texas Instruments LightCrafter™ 4500, Keynote Photonics LC4500 projectors and electronic kits are based on Texas Instruments’ .45” WXGA DMD (DLP4500FQD, DLP4500FQE and DLP4500NIRFQE). The LC4500 controller provides a direct interface for the popular BeagleBone Black development platform based on a AM335x ARM® Cortex A8 processor, providing users the ability to stream patterns created real time into the projector. This interface connector can also be used for custom FPGA designs and has access to the system I2C and other vital trigger and control signals from the main board. The Flexlight 4500 product family is a production-ready, full-featured implementation of the Texas Instruments DLPC4500 chipset, which includes the DLPC350 and 0.45″ WXGA DMD. The system is fully compatible with the TI LightCrafter 4500 API and user GUI developed by TI for the DLPC4500 chipset. In addition, a MSP430 micro-controller is integrated on the main control board, allowing customized configurations and modes of the DLP chipset. Several digital and analog GPIO can be programmed for a fully customized DLP controller solution. The DMD is mounted on a separate board connected to the drive board with a 7 cm flexible cable. You may prefer to purchase an optional 30 cm cable, enabling you to locate the drive electronics away from the DMD and optics. The LC4500 controller also provides a direct interface for the popular BeagleBone development platform based on a AM335x ARM® Cortex A8 processor. So if you select the Pattern Expansion Module (PEM) option, we attach a custom Beaglebone-Green daughtercard with pre-installed PEM firmware. This provides you with the capability to stream patterns created in real time to the projector. You can learn more about the optional BeagleBone processor daughtercard at http://beagleboard.org/bone. A complete streaming pattern application and API is available for the Beaglebone Black that comes with its own graphical user interface that can support Windows, Linux or Mac. The Flexlight LC90000-EKT is a production ready solution that is fully compatible with the Texas Instrument DLP9000 chipset and API. Single micro-coax cable interconnect between the main control board and the DMD board allowing easier placement and custom lengths. Contact Keynote for your specific needs that are not offered by our standard offerings. Side mount DMD cable interface. The extremely high performance LUXBEAM® 4600 DLP electronics utilizes the high speed DLP chip sets DLP9500, DLP9500UV and WUXGA and enables patterns with extremely high update rates and highest level of individual pixel control. For easy integration, the LUXBEAM LB4600 comes with the DMD mounted on a separate DMD board and connected with a flex cable. The board size is very compact and fits a footprint of 192 x 76 mm. The LUXBEAM 4600 is a perfect solution for a whole range of high–speed industrial and emerging applications. The LUXBEAM 4600 comes with VISITECH’s LUXWARE firmware which includes memory management, sequencing and I/O signalling. Gigabit Ethernet interface is available for fast data transfer from a host system. FW options such as image scrolling, motion control loop (e.g. for autofocus) and heat management are available upon request. The board includes a web-server providing a ready-to-use interface without any driver installation required. Communication with Visitech’s advanced LED driver is also available through the web server. Application areas: any high-end industrial and scientific application requiring high resolution, superior frame rates and single pixel control. 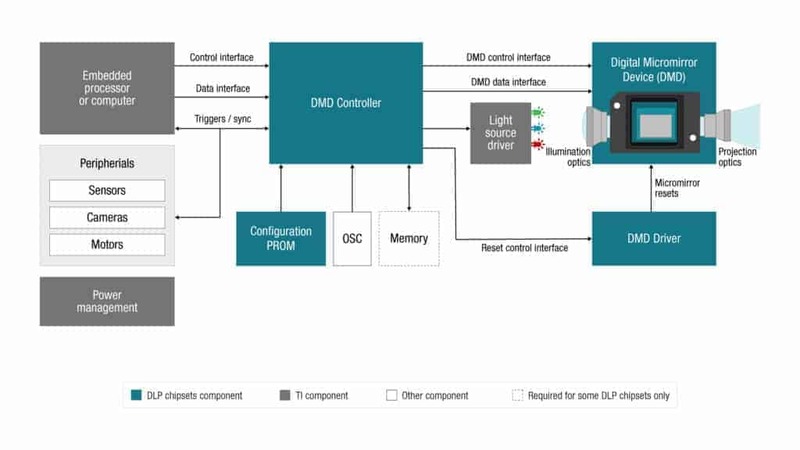 The DLPC3478 display and light controller works with the DLP3010 digital micromirror device (DMD) for 3D Measurement or specialty display applications. The DLPC3478 controller provides pattern sequencing for vertical or horizontal patterns, both 1-bit and 8-bit. Drives the DLP3010 (0.3″ 1280×720) DMD. Please contact us for our industrial projector and control electronic solutions coming soon. The FlexLight LC9000X from Keynote Photonics is designed specifically for applications which require the highest resolution and speed. The controller supports the TI DLPC910 and the DLP9000X DMD to drive more than 60 Gbit/second. 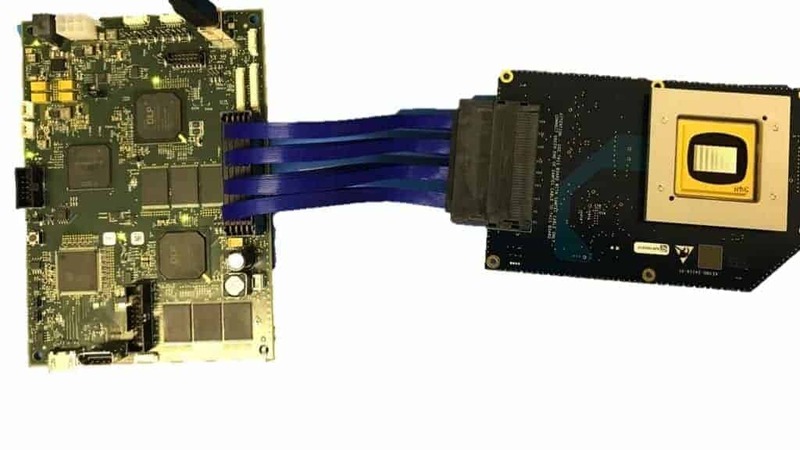 A flexible ARM Cortex A8 “Sitara” processor manages the overall system interface, allowing nearly unlimited streaming patterns or custom application development. Please contact us your customized solution. Single micro-coax cable interconnect between the main control board and the DMD board allowing easier placement and custom lengths. 61 Gbit per second pixel data rate. External Light Source Synchronization and Triggering.